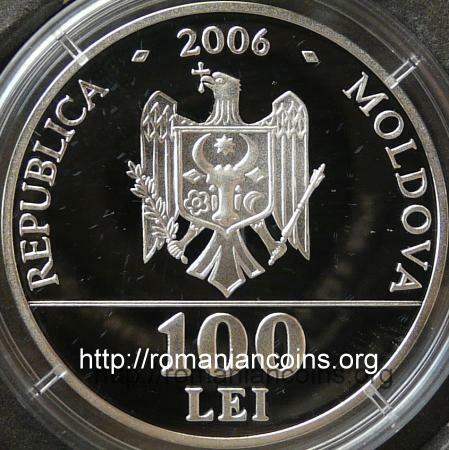 The Republic of Moldova struck coins also for the 5th anniversary, for the 10th anniversary and for the 20th anniversary of the proclamation of the independence. 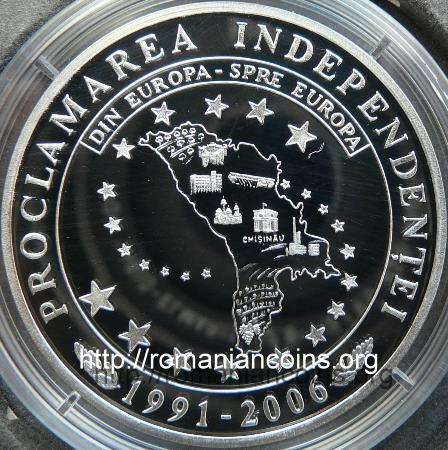 On the map (coin's reverse) the following figures are represented: orchards (in north), Soroca fortress, a building (maybe the building of the Persons' Record from Bălţi? 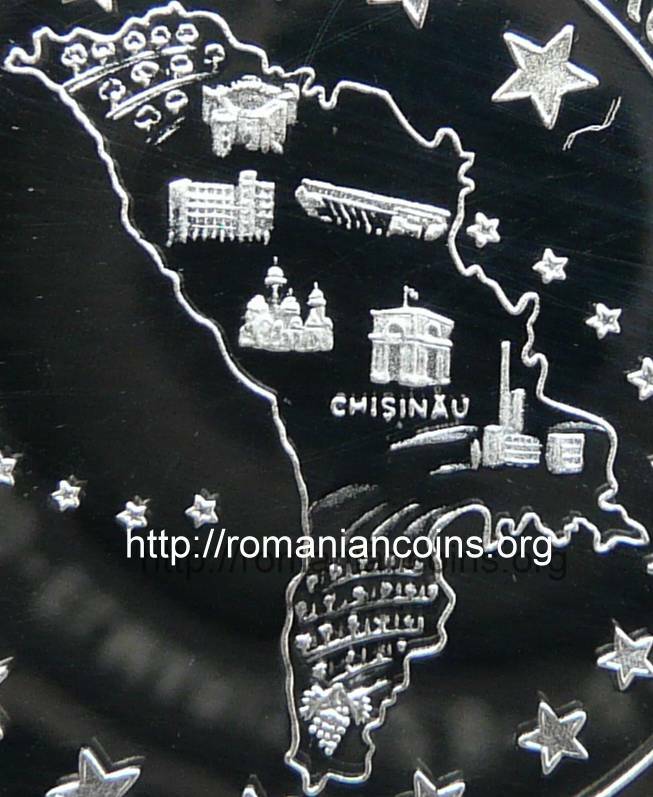 ), a dam on River Nistru (probably the one at Dubăsari), the new church (from 1903) dedicated to Saint George from Căpriana Monastery, the Holy Gates in Chişinău, with the Moldavian flag above, an industrial building (maybe the heating plant no. 4 from Tiraspol?) and, in south, vineyards.